Many of you rode on a bike at one point, or even ride it regularly. When you are on it, you must keep pedaling, covering some ground, moving forward, or you fall over to the side. In life, too, you must keep moving, if you stall, you may not fall over, but you will become stagnant. Looking at a stream of water, what happens when it stops flowing? When water stops flowing, it stagnates. Once it stagnates, it becomes a habitat for various organisms. Mosquitoes find a breeding ground. Frogs, insects, and other hideous life-matter settle in the area, finding a home. We can also consider the act of driving up a hill. What happens when you do not accelerate up the slope? The moment your vehicle loses the forward thrust, when you are driving it up a hill, it starts to slow, and in time will start moving backward. Having a purpose in life, and goals and dreams you want to achieve, there is only one way you will ever reach them, and that is by moving forward. Your initial pedaling might be slow to start with, but you have to stay in motion. When you run into roadblocks along the way, and your momentum is slowed, keep on pedaling, don't stop. You have to keep moving. Life does not always give you a smooth road to pedal on, and some stretches of the road can be quite bumpy. It will take the extra effort to get across the bumps of life, but in the end it will be worth it, when you can celebrate the achievement of your dreams. Martin Luther King gives us encouragement when he said, "If you can't fly, then run. If you can't run, then walk. If you can't walk, then crawl. But what ever you do, you have to keep moving forward." And let me add ... and never give up! 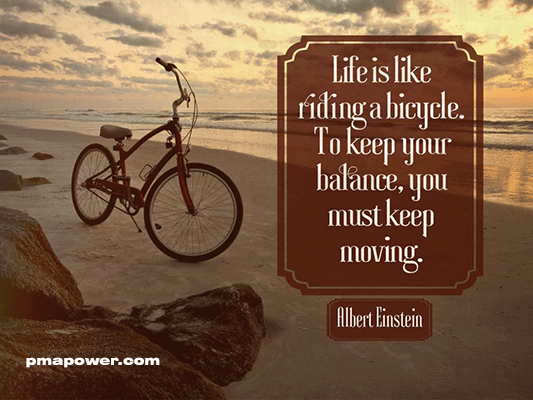 You Must Keep Moving - Many of you rode on a bike at one point, or even ride it regularly. When you are on it, you must keep pedaling, covering some ground, moving forward, or you fall over to the side. In life, too, you must keep moving, if you stall, you may not fall over, but you will become stagnant. Looking at a stream of water, what happens when it stops flowing? 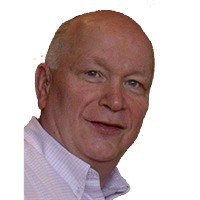 When water stops flowing, it stagnates. Once it stagnates, it becomes a habitat for various organisms. Mosquitoes find a breeding ground. Frogs, insects, and other hideous life-matter settle in the area, finding a home. We can also consider the act of driving up a hill. What happens when you do not accelerate up the slope? The moment your vehicle loses the forward thrust, when you are driving it up a hill, it starts to slow, and in time will start moving backward.